Hamilton 32-inch L x 24-inch W Framed Wall Mirror in French White The Hamilton 24-inch x 32-inch mirror reflects the stylish Americana design of this popular collection. A perfect coordinating piece to the Hamilton vanities and linen tower. The mirror hangs vertically and features a beveled edge and French white finish. 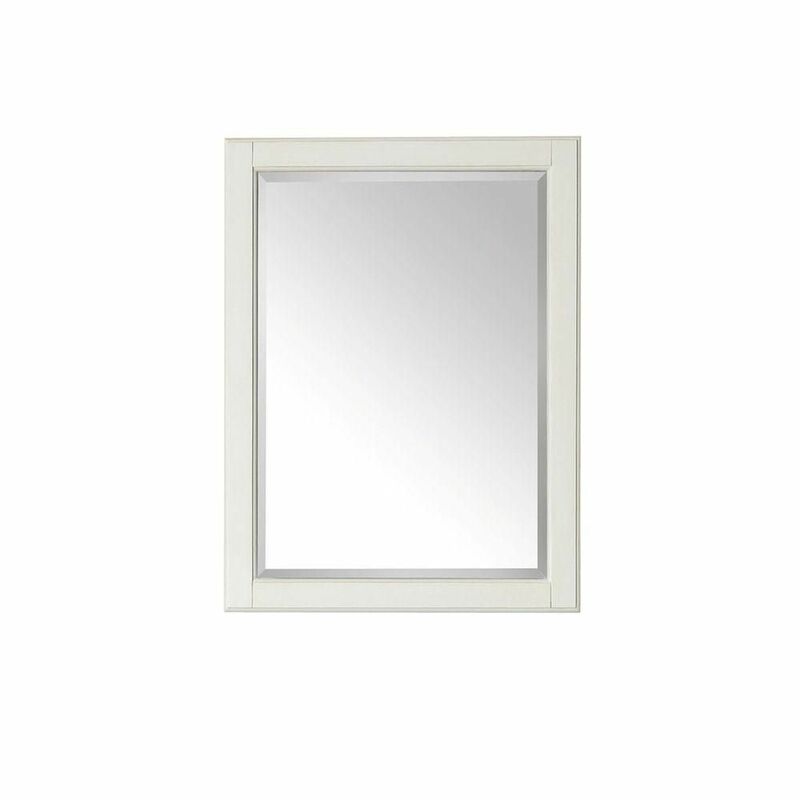 Hamilton 32-inch L x 24-inch W Framed Wall Mirror in French White is rated 5.0 out of 5 by 1. Rated 5 out of 5 by Remodelinggal from Nice Matches Hamilton vanity that is without top. Remodeling will begin in a week but have contractor so all installation will be easy!